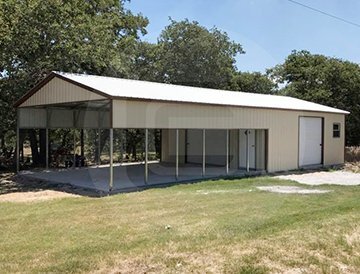 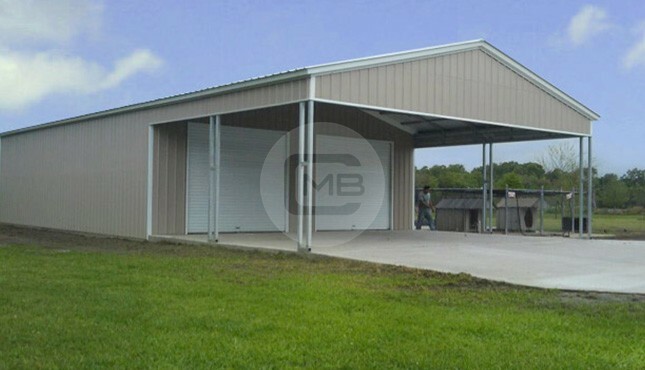 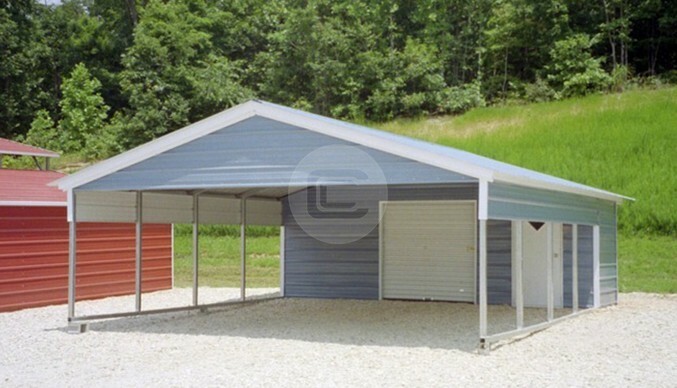 Metal Utility Building 24x51x10 with vertical roof with all vertical sides and ends. 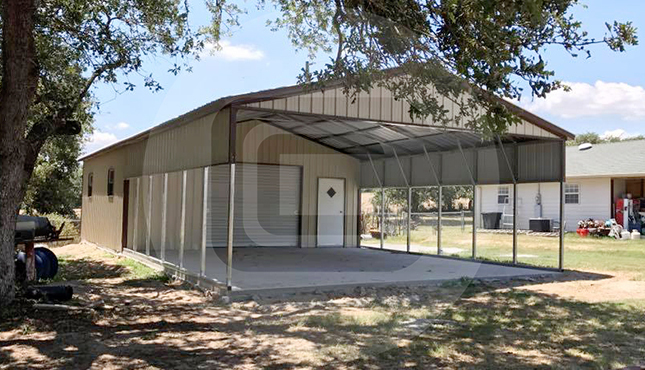 (1) front wall vertical gable end with 20′ enclosed utility, (1) 10×10 metal roll up door and (1) 36″ x 80″ walk in door on the enclosed utility. 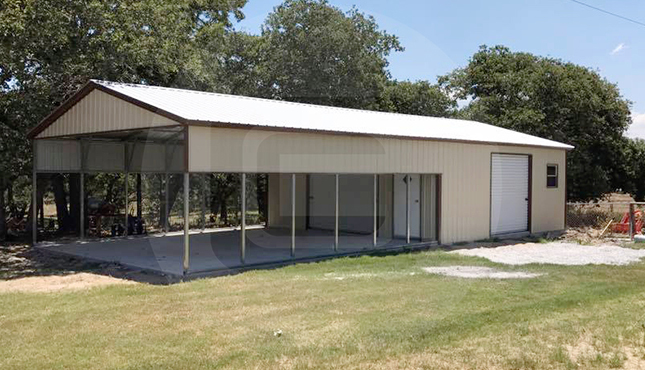 This building also has (3) 30″ x 30″ windows and (1) 9x8 roll-up door on one side of utility.